[JRASERVER-8943] WYSIWYG / Rich Text Editor - Create and track feature requests for Atlassian products. We're pleased to announce that the new rich text editor will be available in the upcoming release of JIRA Server 7.2. We are still working on providing a great, modern text editor for JIRA Cloud with a consistent user interface across all of Atlassian Cloud, including Confluence Cloud, Bitbucket Cloud, and HipChat. 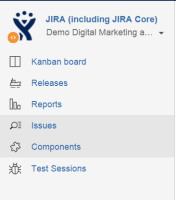 We will continue to provide updates on this issue when we are farther along on bringing the new text editor to JIRA Cloud. 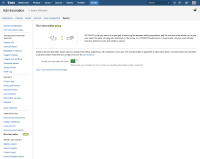 Now that JIRA supports wiki markup, it would be nice if there is a WYSIWYG/Rich Text editor for JIRA (similar to the one in Confluence). JRASERVER-30423 Allow "auto-generated" links to cross JIRA instances. JRASERVER-8175 WIKI markup doesn't let me over-ride text formatting.